Founded in 1988, the Helsinki International Film Festival – Love & Anarchy has been held annually ever since. The aim of Finland’s biggest film festival is to promote the artistry of filmmaking alongside inventive, controversial and visually stunning new films. The festival also seeks to screen films that would otherwise not be seen in Finnish theatres. The festival programme consists of new films from well-known filmmakers and fresh talents alike. In its first few years the programme was heavily focused on Japanese and Hong Kong films. Since then, the programme has evolved; Asian films still play a part but films from all other continents feature too. The ideological godfathers of the festival aren’t too tough to pick out – Wong Kar-wai, Spike Lee, Peter Greenaway, Gaspar Noé, John Woo, David Cronenberg, Takeshi Kitano, Todd Solondz, Takashi Miike and Hayao Miyazaki are all names that pop up in the festival programme year and decade after another. During its 30-year lifespan, the Helsinki International Film Festival has expanded from two theatres to 18 screens and established itself as an 11-day homage to cinema. In 1988 the festival screened 26 films. Nowadays the programme consists of around 180 feature films and as many short films. 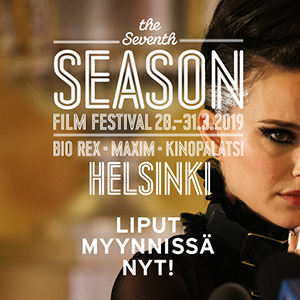 The screenings take place in the fine theatres and traditional film sanctuaries of Helsinki. Last year’s (2017) festival had over 60 000 visitors. Each year HIFF invites important filmmakers to speak about their work and meet both audiences and industry professionals. In past years the festival has had the honour of welcoming guests such as Danny Boyle, John Woo, Gaspar Noé, Tilda Swinton, Jan Kounen, Aleksandr Sokurov, Baz Luhrmann, Philip Ridley, Nicolas Winding Refn, Jacques Audiard, Lucille Hadzihalilovic, Terence Davies and Cristian Mungiu. Finland’s most widely observed film festival is organized by Helsinki International Film Festival ry.